Getting a pay raise while sitting on the couch? Sign me up! Thanks Walgreens for another pay raise! It's always great to see one of the companies you own announcing a dividend increase. Last week the Board of Directors at Walgreens-Boots Alliance (WBA) announced yet another dividend increase. The quarterly payout will rise from $0.36 to $0.375. That's a 4.2% increase. 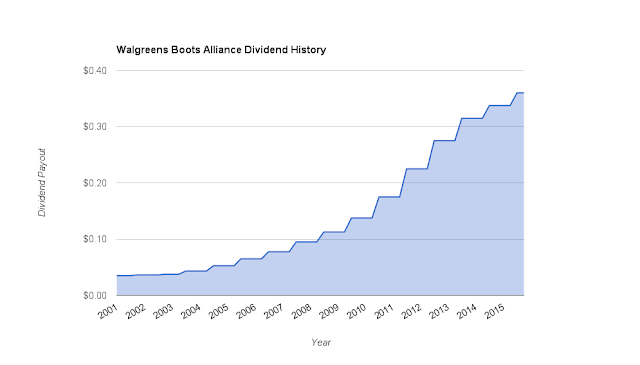 Walgreens-Boots Alliance is a Dividend Champion with 41 consecutive years of dividend growth. Shares currently yield 1.82%. 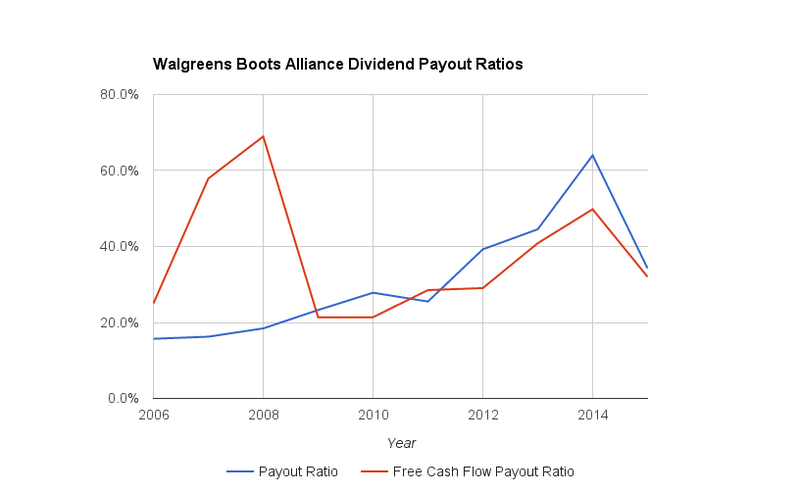 Since I own 69.069 shares of Walgreens-Boots Alliance in my FI Portfolio this raise increased my forward 12-month dividends by $4.14. This is the 4th dividend increase I've received from Walgreens since initiating a position in 2012. Cumulatively my income from Walgreens has increased by 36%!!! Not bad for just 4 years time. According to USInflationCalculator the total rate of inflation over the same time period is just 4.6% so Walgreens has increased my income 8 times faster than inflation. Walgreens-Boots Alliance, in its many shapes and forms, has been a wonderful dividend grower. The consistency with this increases is impressive. 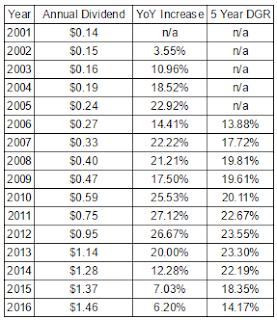 Although dividend growth has slowed the last two years as you can see in the following table. 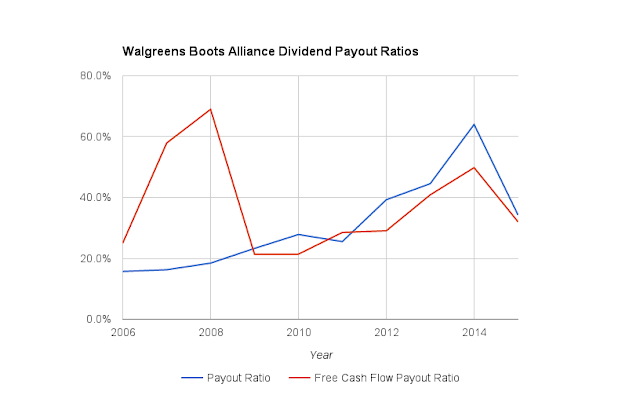 Walgreens-Boots Alliance had typically given owners huge dividend increases year after year which were routinely above 20% per year. However, growth has slowed a bit the last two years with raises coming in below 10%. Of course there's not a whole lot to complain about though rather it's just something to keep an eye on. 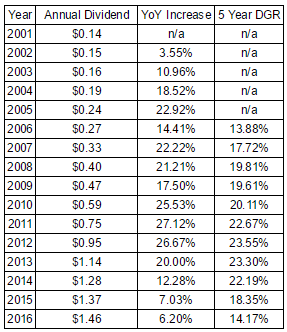 The slower dividend growth is a bit understandable given the approximate doubling of the payout ratio since 2006. Also, Walgreens is navigating the potential merger with Rite Aid so a more conservative dividend increase was expected. My forward dividends increased by $4.14 with me doing nothing. That's right, absolutely nothing to contribute to their operations. Based on my portfolio's current yield of 2.91% this raise is like I invested an extra $142 in capital. Except that I didn't! One of the companies I own just decided to send more cash my way. 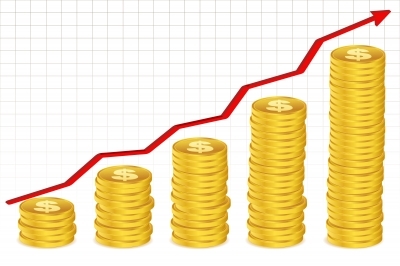 For a dividend growth investor there's not much that's better than hearing news of a dividend increase. So far this year I've received 29 increases from 25 companies increasing my forward 12-month dividends by $165.46. My FI Portfolio's forward-12 month dividends increased to $5,606.39 and including my Loyal3 portfolio's forward dividends of $63.67 brings my total taxable account forward dividends to $5,670.06. Do you own shares of Walgreens-Boots Alliance? Congrats on recent increases, I am happy to be fellow shareholder on CMI. It's always great to see dividend increases. WBA has definitely been a great holding for me. You've got to love that 30%+ pay raise in just 4 years. The raise was a bit lower than expected but I expect next years raise will probably help make up for this one. I had sold WBA a year or so ago (before I instituted a barely breakable no sell rule lol) - and boy am I kicking myself. I have found I am much better at finding undervalued stocks than I am at determining if they are overvalued. I'm in the same boat as you where it's much easier for me to find undervalued companies rather than determining the overvaluation and then making the sale. Taxes and finding replacement investments make it so much harder that I have a semi no sell rule in place too.